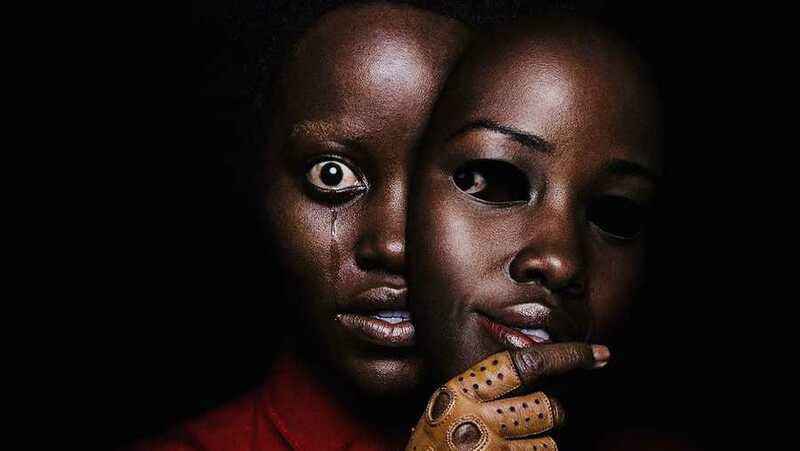 Jordan Peele is back with another one of his stunning horror spectacles in Us, a film which sees a family of four, terrorised by doppelgängers, fight for survival. Once again, Jordan writes and directs this inherently original and ambitious horror thriller, delivering back to back hits following 2017’s Get Out. If you saw Jordan’s directorial debut Get Out you should know more or less what you are going to get with Us. It’s a horror/thriller that pushes the boundaries of the genre; comes up with inventive ways to terrify you; and hides a layer of social commentary, metaphors, and symbolism beneath the surface. From beginning to end this movie is intense. Before the action even begins an eerie tone is set up that has you on the edge of your seat despite the fact that you are watching a family living in harmony. Jordan introduces this aura of impending doom from the opening scene and never once lets up as he tells this story that will no doubt shock and terrify you. The tension builds through every scene and the mystery of how and why this is all happening unfolds carefully so you don’t get all the information at once. There is one moment in which the story does momentarily take a step back and it seems for a second like it’s ending, but as this is only half way through the film it’s a fake that carries into the much more intense latter half. I’m in two minds about this split, on one had it’s a crucial point in the story that catapults characters into the latter half, but then on the other it slows down the pace in order to do that. In the grand scheme of things this is a minuscule moment that doesn’t affect my overall enjoyment of the film. A couple lines of humour are thrown in here and there as they were in Get Out. They fit tonally and come across as natural jokes the characters would make considering their personalities. Being a Jordan Peele film nothing happens by mistake and (almost) everything has a meaning, so part of the fun is deciphering exactly what he is trying to say. Some of it is very clear and obvious and some is left to interpretation, either way people will be talking about this film long after its release. One of the highlights of this film is how Jordan brings out incredible performances from his talented cast that carry each and every scene. Lupita Nyong’o plays the dual roles of Adelaide and Red and is the star of the show as she delivers two chilling performances. The emotion and terror she is able to convey through these very afflicted characters is a testament to her skill as an actor. She stands out above everyone else but also compliments their performances at the same time. Winston Duke plays Gabe and Abraham and he too has a number stand out moments. He adds something different to the film that Lupita’s character isn’t really capable of. His personality makes way for some of the humorous lines of dialogue and when it comes to lighting the mood he’s the one who delivers. The child performances from Shahadi Wright Joseph and Evan Alex are pretty damn good and by no means do they portray the dumb horror movie kids you want to develop some common sense. They have a good place in this story and contribute to the horror and terror really well. These four just have a great family dynamic going that you buy right from the get-go and helps you get into the story right away. Us is an incredible horror/thriller, one that proves Jordan Peele wasn’t a one-hit-wonder with Get Out and will no doubt deliver more spectacular horror films in the future. I will say, where Get Out‘s revelations led to me feeling like I needed to check it out multiple times, the revelations here don’t really give me the urgency to check it out again as it’s relatively understandable. I probably will do so out of interest but the story doesn’t call for it as much. I had a great time with this film and if you were one that loved Get Out you’ll respond to this thrilling project.